I found this a hard concept to put across, even to myself. We’re only just a few days into 2012, and I’m already thinking about 2013? But, I thought it might read quite well, as no-one, as far as I know, has done a feature like this before – probably for good reasoning I guess. If that’s not explained well, I apologise, but I even found it hard to explain to myself. Hopefully you’ll get the picture after reading through to the end. I did think of just rolling out a very long list of the relatively unheard talent out there, but then again, I wanted to say a little more on a few of the artists. Also, similarly to most of my posts, there will be people I’ve left out, forgotten, whatever. But I can’t know about everything, especially as this is music for 2013! 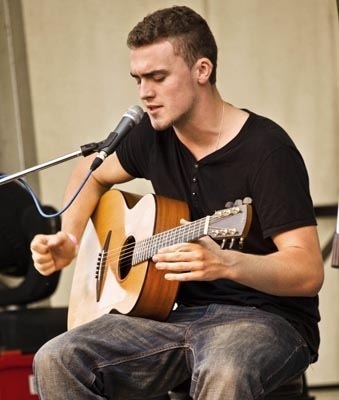 Ryan Keen was recently featured in the Daily Star’s artists for 2012, and that’s no surprise. I’d say Ryan will achieve great things this year, without doubt. He’s got new music coming fairly shortly, and notably a video made by the same people that make Rastamouse – and you have no heart if you can’t enjoy that fact. His unbelievable, flamenco style guitar skills, mixed with raw, honest, and heartfelt lyrics, delivered in a stunning voice will shine through and leave so many artists long behind. I can surely see Ryan being properly noticed this year, but I’d say 2013 will be when we see him conquer music, like his mate, a little-known Ed Sheeran has done so very recently. Random Impulse is by far one of the most unique artists out there that I know about. A combination of grime and hard guitar rifts, is something you don’t find easily. Random Impulse (real name, Jovel Walker) has found a gap which is somewhat untouched – which in music, is very hard these days. My only real criticism of popular music these days is that there does need to be more originality in the charts – and why couldn’t Jovel play a part in the reclamation of original and successful music – which I think will build up this year, with new and exciting artists breaking through this year. But like I’ve already said, this is ‘Tips for 2013’ – so again, I see Jovel’s big year to be the next one along. 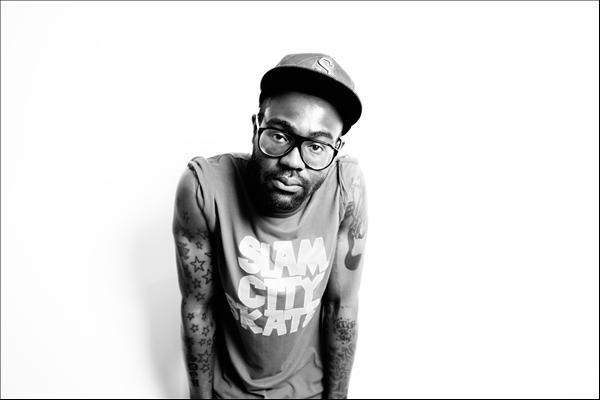 A third act who is associated with Ed Sheeran, is Mikill Pane. But with no offence meant at all to Ed (there’s obviously no offence meant AT ALL), I do long for the day when the majority of people know of Mikill through his own work. ‘Summer In The City’ and ‘Read My Lips’ are two tracks which showcase his talent perfectly, and really stand out amongst everything else. I find it incredible how more people are still unaware of his own tracks, people still just know him from ‘Little Lady’. I mean, that’s not necessarily a bad thing I guess, ‘Little Lady’ was one of the most heart-wrenchingly brilliant songs of the year just gone. But still, when I’m a fan of an artist, I want them to be mainly known through their own excellent material. Josh Osho/ Etta Bond/ Kings Of The City/ Yasmin/ Passenger/ Josh Kumra/ Kal Lavelle/ Lester Clayton/ Antonio Lulic/ Daley/ Russo/ Dream Mclean/ Gabrielle Aplin / Red N Pink/ Shaka/ Lauren Aquilina/ The Dash (if there’s a revival in Rock anytime soon? )/ Liam Bailey/ Nina Nesbitt/ Leddra Chapman/ Maiday. The beautiful thing about that very very long list, is that even I am still ignorant to much more UK talent. There’s so much more out there, and that’s the main reason I started this whole blog, so I can finally keep on top of talent that’s out there – and there will be so much more that comes through to our attention this year as well! I feel I need to make this clear again, the artists featured will have a good 2012! Some will get tracks on Radio 1 and the likes, through ‘Records Of The Week’ features for example. 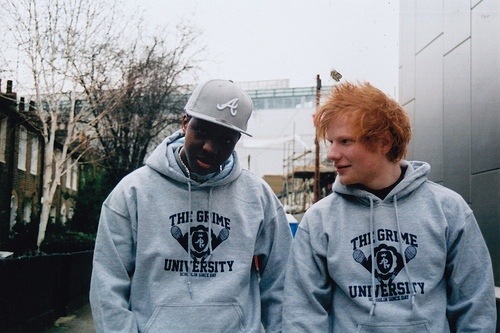 Sheeran got a lot of attention from ‘The A Team’ being Fearne Cotten’s one week. I said it earlier, but they may even get a surge of chart success, like Emeli Sande did with ‘Heaven’ – which reached number 2! It’s just I think there first full on successful year throughout will be 2013. Why I think these artists are tips for 2013, not 2012, is because of people’s attitudes to music. There’s so much music out there, but most people just stick to listening to the same things – even listening to good music over and over again. It’s not my place to say this is wrong, but it would help if they did the tiniest bit of searching, to find artists such as these featured ones. Just to give some more new excitement in music, in effect making it easier for proper talent to be noticed. The capacity for people to listen to music is large, so why not fill it up with a wider range? Don’t wait for the talent to come to you, go find it before the rest of the public have it thrusted into their ears. That was effectively a rant I guess, but I didn’t really mean it to come out like that. What I’m trying to say, simply, is that artists like these shouldn’t have to only come into the public attention through things like the ‘BBC’s Sound Of’ features. People need to be more aware, and able to find the talent. I mean, it is effectively for their own benefit. And that’s why I adore things like SB.TV so much. Jamal Edwards and his team are, and will, play an ever growing role in the development of music in the coming years. 2011 was just the start for them, and I can’t wait to see how big they are by 2013! Effectively, on reading back through this again, I’d say the title is misleading. I possibly chose it to be misleading subconsciously. I say this because, it’s more about the amount of talent out there in the UK. I want people to find new music, I’d much rather people liked artists like Random Impulse or Ryan Keen, than LMFAO or Pitbull. People need to know about the talent the UK has to offer. And anything I can do to make people realise this, the better. Basically, see this post as a declaration of unjust in the music world we live in. Just don’t see me as a sort of mentally music based Charlie Sheen. This entry was posted in comments, new music, news, reviews and tagged 2011, 2012, 2013, daily star, Ed Sheeran, Emeli sande, fearne cotten]]on, maverick sabre, mikill pane, music, random impulse, Ryan Keen, tips. Bookmark the permalink.